Hi @Bruce_Boogie welcome on board! Thanks, and I think you have to have posted 5 comments before you can post an image or a link! Hi all! My heritage is Scots but only visited a few times in my life (Yorkshire lass ...) campervan arriving in January 17 is about to change that! Hi there. Just joined. I live in Shetland. Happy to help with any queries re. visiting these islands. Thank you! Just joined in so reading this was helpfull. Planning to take a day trip in May from Edinburgh to Balmoral Castle, Glamis Castle and then onto Stirling. We will be driving. What is the best way to go to see the most of that part of Scotland? Hello @cpetrusek I found it easy to spend an entire day at Balmoral, perhaps because it was an unusually warm and sunny April day! There are lovely flat and hill walks beyond the few open public buildings with interesting museum-type of displays and the access to the dining hall (the only access to the interior of the castle). The kirkyard at Craithie, adjacent to the Balmoral entrance, is quite interesting too (you might spot John Brown's gravestone). 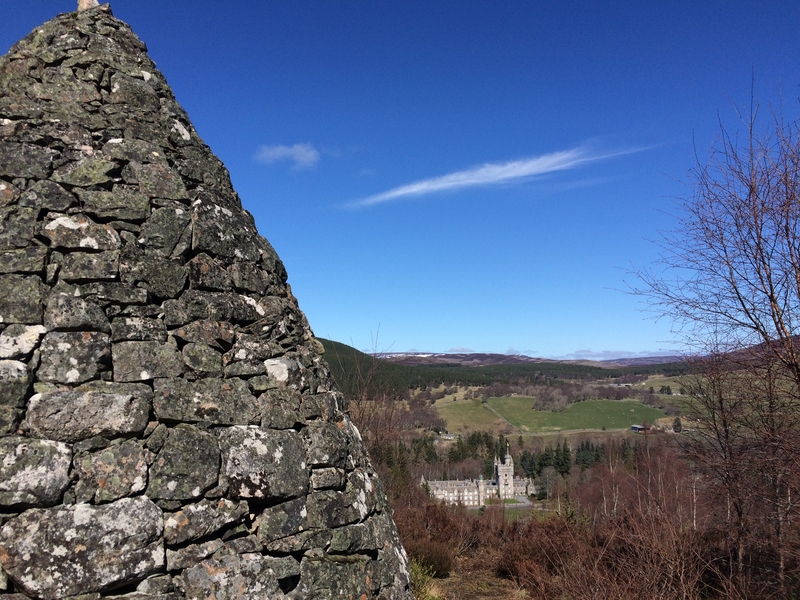 It's an easy hike to view Balmoral Castle from up near Leopold's Cairn. Queen Victoria and Prince Albert had several cairns built to signify special milestones in their lives. Leopold was one of their sons. Balmoral Castle and Estate. From up high one may see more of the buildings where some of the people who live and work on the estate live. Including Glamis and all there is at Stirling as well as Balmoral may prove ambitious for just a day trip. I didn't visit Glamis Castle; but at Stirling, the town, the gorgeous hilltop castle and the Wallace Memorial, all were quite something. 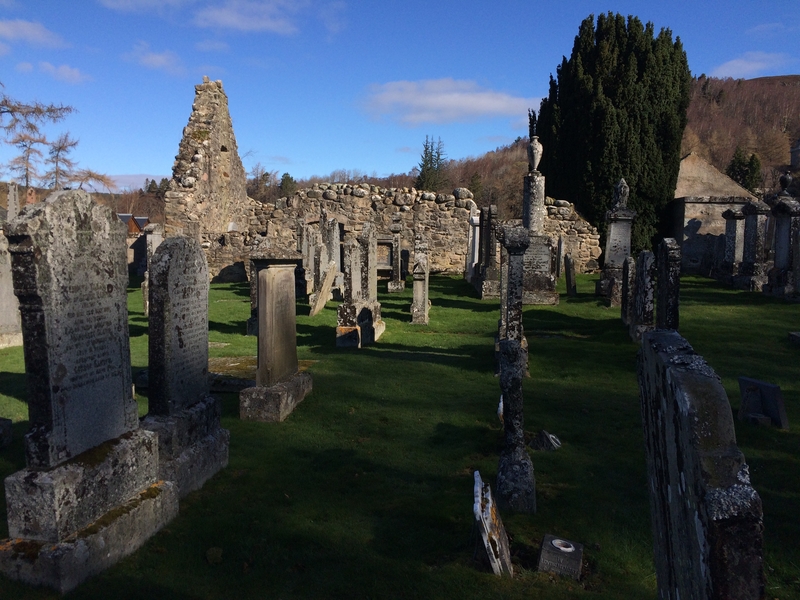 Callander, not far from Stirling was another lovely spot to visit. Doune Castle, featured in Monty Python and the Holy Grail and in Outlander is between Stirling and Callander. 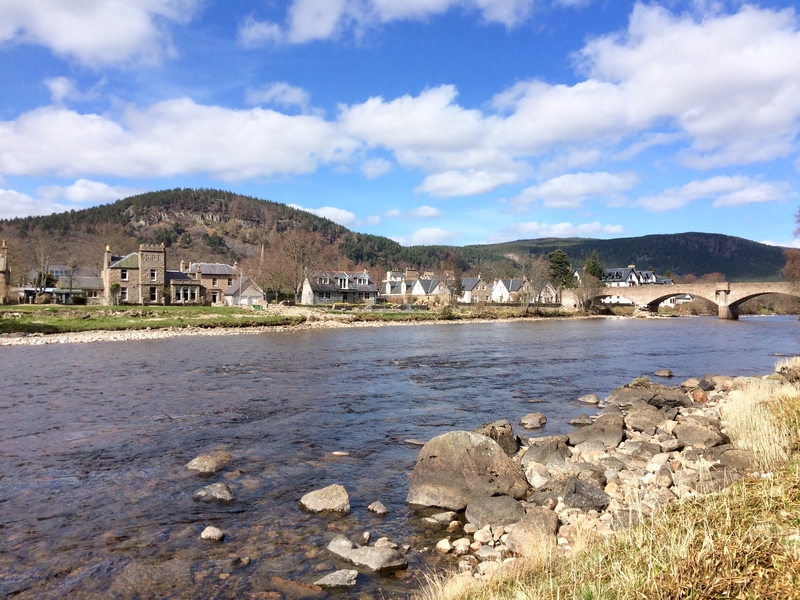 If you decide to break it up over a couple of days I suggest overnighting at the far end of your loop in the village of Ballater, located on the River Dee only a few kms down the road from Balmoral Estate. This quaint town is lovely to wander about and several of the businesses display the 'Royal Appointment' crests on their storefronts. I can personally recommend the Inchgeal Lodge, one of my favourite guest houses in the country; and Lochnagar Indian Brasserie where my mates and I enjoyed a delicious dinner. Thank you so much for all the information. It is a big help. Can't wait to show the beautiful country of Scotland to my husband. Thanks again. Hi there @VisitScotlandAmanda. Can you, or anyone else, tell me How many Different Badges are there for Community Activity and How we can claim them? Hi @fishypro there are a variety of badges as part of the site - some are automatically awarded through your own activity (for example you received the Photogenic badge when you added a profile picture.) Some are special badges for our official bloggers (you will see people with the Contributor or Ambassador badge) and some are awarded when we see people actively helping make this community the special place that it is. Hope that makes sense? Thanks for joining in! Hello, all. My first time here. I'm an American with Scottish (Abernethy), Irish (McKee) and British (Atwater) ancestry. My husband has Scottish (Lyttle) ancestry as well. We plan to visit sometime within the next 18-24 months, but certainly not JUST to look for ancestry clues and information, although that would be great, but also just because we have each always wanted to visit Scotland! Looking forward to exploring the site and planning our trip. My brother and his wife spent two weeks in Scotland last summer, and it has made us more anxious than ever to visit! 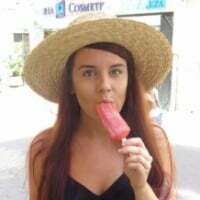 Hello, I just joint today, I am from Canada and my family and I would like to visit Scotland in a near future. This site may help for sure. Four American ladies visiting Scotland in August 2017. 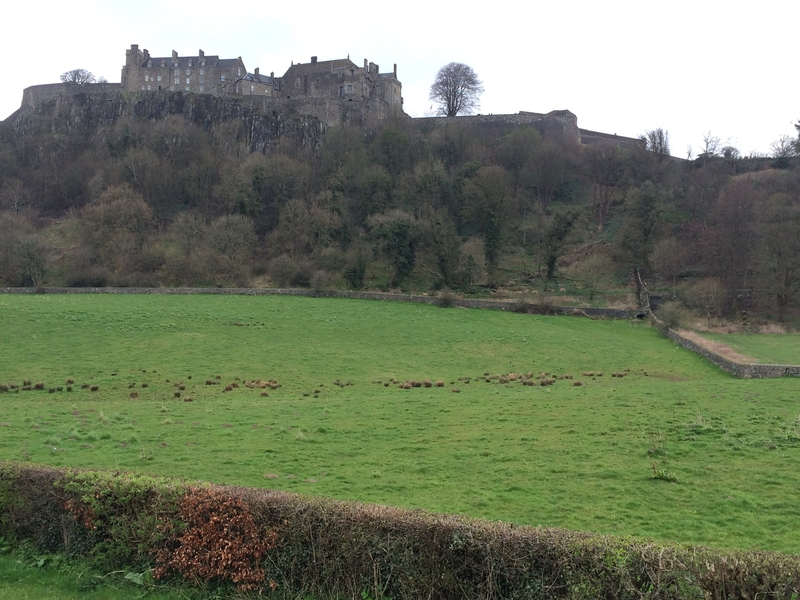 3 days in Edinburgh and a week in Aviemore. Not young enough for adventure trips but walking okay. We'd love suggestions for especially pretty drives, knowing that the scenery is magnificent everywhere! Also ceilidhs, castles and other fun events. We've been to Scotland before on group tour so have seen most of the usual tourist sites, i.e. Culloden, but looking for the not-so-common things to see and do. Thank you for your help! I'm sure you will all enjoy planning a future trip to Scotland. Feel free to start a discussion or ask a question in our topic threads. @colin_thrifty17 your input will be so valuable for our community. Thank you. Hi everyone. I've just joined and I am really excited to be a part of the community and learn a lot about Scotland. Hello @MayBelle and a warm welcome to the community. I hope you enjoy finding out more information and tips. Hi Everyone, I'm planning my first trip to Scotland in mid-June and I'm looking for ideas and information on travelling via trains, busses and ferries. I have a disability and I really appreciate the information I've been able to find on the web site so far--super job! Hello @HamishInTheKitchen and welcome to the community. I hope you will enjoy seeking out great info. I find Traveline Scotland's journey planner to be a useful tool when starting to plan a trip by public transport in the near future. You can see all the possibilities for a specific date and check approximate ticket prices. hi I'm DENNIS WHERE GOING TO EDINBURGH IN JUNE OF THIS YEAR (2017) GOING TO A WEDDING AT DALHOUEIE CASTLE. THEN TO OTHER PLACES IN EDINBURGH ANY PLACES TO GO? Hi @DENNIS Welcome to the community! There are so many things to see and do in Edinburgh and this section of our website might be useful in planning your trip. Also, why not create a new discussion on the community...I'm sure you will get lots of great suggestions! We are planning a trip to Scotland in 2018. My sister keeps insisting it is a very small place! As I start planning our adventure, I am thinking I'd have to live there a year to visit each and every place I'd like to see! We are planning a trip up the North Coast late August - early September. What are the chances of not getting to Orkney due to bad weather? Yes, Scotland is a relatively small country but with heaps to do and it can take a while to get around everything - maybe even a lifetime. You can find lots of inspiration on the VisitScotland.com website and plan a trip around the stuff you really want to explore. There should not be too many prolonged weather problems during late August, early September. However, our weather is pretty unpredictable. The odds are in your favour though at that time of year. Go for it! You can take a laddie out of Scotland but you cannae take Scotland out of the laddie ;-) Hiya! Hello @Basil and welcome. Your heart's ties will always pull you back, eh? I hope you get a lot out of the community and we look forward to your perspective on Scotland.